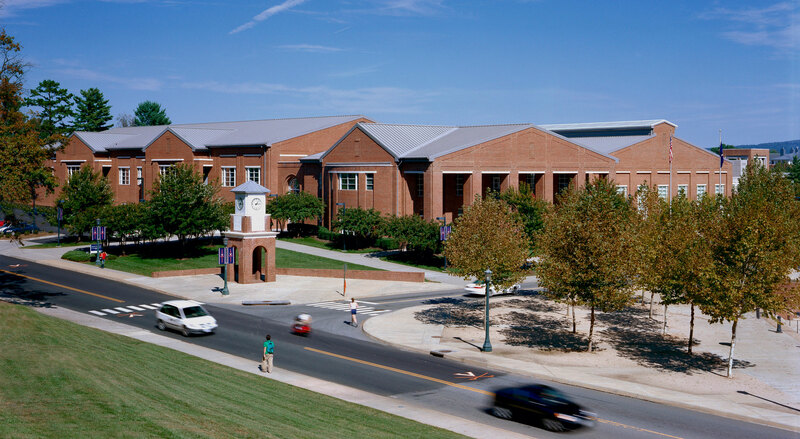 The Aquatic & Fitness Center is the biggest fitness center on Grounds and is home to the UVA Swimming and Diving Teams. In addition to a comprehensive array of fitness equipment, it features an indoor track, Olympic-sized pool, warm water pool, hot tub and sauna. At the AFC Service Desk, you can check out a locker, rent a towel, buy Group Exercise passes or buy a guest pass. Upstairs in our Business Office (M-F 9-5:30), you can purchase or renew your membership, update payroll information or register for programs including personal training, instructional class, intramural sports or outdoor adventures. There are designated parking lots with metered spaces adjacent to The Aquatic & Fitness Center. VERY IMPORTANT: Between 7:30am and 5pm, note your license plate number and enter it into the parking kiosk in the facility lobby.